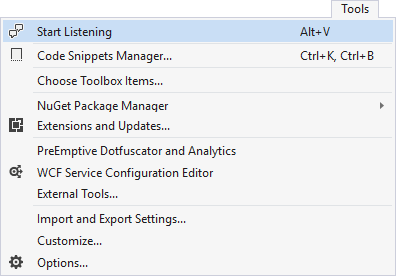 Voice Command let's you control Visual Studio using your own voice and high accuracy. See the list by saying What can I say? Under the hood, Voice Commands uses Windows Speech API to handle the voice recognition. The Windows Speech API is part of Windows and can be accessed by adding a reference to System.Speech. Since this extension uses the Windows speech APIs, you can train Windows to better understand your particular speech patterns. See the videos and tutorial on how to use Speech Recognition.